Back in May 2006 on my second morning in China, within hours of seeing anything of the city outside my campus for the first time, I set out on a mission. I knew there was a mosque around here and I was intent on finding it. Armed with a map and not a word of Chinese, I set out South for the old city to search out the Fuyou Road Mosque, the nearest of the three crescents laid out on the grid folded up in my pocket. I had just set up a blog at that time, and shortly after I wrote about being impressed with the sheer size and foreignness of the place. But, thinking myself a seasoned traveler, I was not to be deterred. Finally I saw an oddly misshapen scribble of Arabic and figured this must be it. Inside were half a dozen men, most much older than I, and none of whom spoke English. One, a man by the name of Ibrahim, had a smattering of Arabic. And so on my second day in China, I found a familiar conversation. Though it may be a cliché, I can’t help but think of Ibn Battutah. Frequently. Though in no way am I a rightful comparison to someone who’d taken on so much, I think I may be able to understand at least to some extent how he felt. I’ve been traveling on and off now since I was 13, making it just over half of my life. Sixteen countries have entry visas in my passport and for almost each one, there is the shadow of the hospitality to which he was likely to have been subject on so many occasions during his travels. I will be the first to admit I’ve seen the problems too. I can say with confidence that I’m the only person I know to have been kicked out of Masjid al-Aqsa for not being Arab enough. I’ve met with suspicious glances in my direction on more than a few occasions, my race or nationality being the primary issue. I mention this not to bring up the conditions being endured by so many but rather to make a point. The reality is that life is often filled with xenophobia and turmoil, where suspicion of the Other is a means of survival, so I do not begrudge those who have acted as they saw best at the time. But, while I have not always been the recipient of the warmest hospitality, this has never been a problem among the Muslims in China. I cannot be sure what the reasons may be, though I have my guesses. What I can say is that the spirit of welcoming to the vast extended family that is the Ummah is alive and well here. I have seen it first hand. It has been a dinner invitation by a couple of Uyghur men who spotted me in an Ürümqi bookstore, a Chinese-language text for would-be Hajjis under my arm. 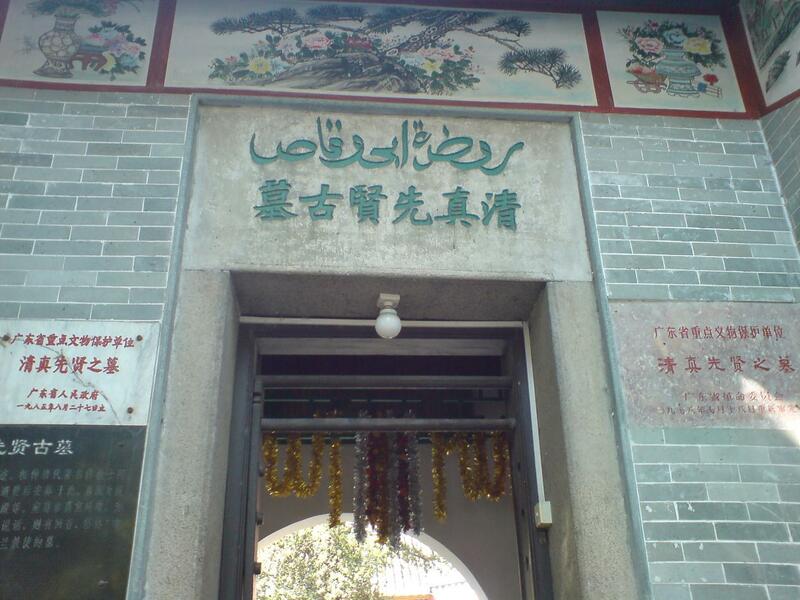 It has been a conversation with the Imam Hajji Muhammad of the Great Mosque in Xi’an or the group of Chinese Kazakhs who wanted to talk, having thought I looked friendly upon seeing the Imam and I in conversation. And most recently, It has been the local halal butcher who I was asked to see by a friend of mine in order to translate an order for leg of lamb. Maybe that’s the most impressive one in my mind. I would expect it from an Imam at a mosque turned tourist site, or from a group of college kids, who tend to be friendly in most countries. But this city in which I live, at 2 million people a mere town by Chinese standards, is not the most open minded place in China. It at times can feel outright hostile to outsiders. Having only just begun to open up to the possibilities of the future, it’s still figuring some things out. That means, unfortunately, at times I’ve seen the worst kind of xenophobia in people. In the mosque, however, there is respite. It must be some sort of antidote which is being slowly filtered into the mosque’s air conditioning. With the butcher, it was simple. We talked about what kind of meat and how much. He pleasantly joked with me, asked me if I was a Muslim, and then we concluded our transaction. I’ve had conversations like this a dozen times since coming to this town, each time with regardless if my own identity as a Muslim was known. When I sat down to write this, I had planned to write something about the small differences in how they pray here or how their lines aren’t kept very straight, basically giving a rather clinical view that would inevitably miss the humanity of it all, reducing the manifestation of the faith into some scholarly opinion. After I got started I knew that wasn’t going to happen. Not so far back I was thinking what it must have been like to travel without passports and without borders as Ibn Battutah had. It had occurred to me that perhaps the distrust of neighbors would rival what we see in the world today. It had also occurred to me to watch out for bandits that at the time were a much bigger threat than the occasional pickpocket is today. It’s an idea of travel with much greater freedom but much greater hardship. I had found that mosque in Shanghai and was warmly welcomed as if it were my own Friday haunt. In spite of this and the many conversations of which I’ve just spoken, some bit of cynicism wasn’t letting me accept the possibility of people really being that accepting of an early traveler just because the Tangerine knew the right words to say as the light would begin to fade on a Ramadan evening. These thoughts began to fade as I took off my shoes one Friday and found a place to sit between a middle-aged Uyghur man and a teenaged Hui, the room filled with whispers in a half-dozen tongues only to be silenced by an all-to-familiar call. About the Author: Kellen Parker is an American-Muslim who currently resides in China. Call me Atan. Which area do you stay in China? I need your help. I am looking for someone who can prepare Chinese Muslim food, to work in a food stall in the shopping complex in Malaysia. Should you know anybody who can help me on this, please let me know at mawi1972@hotmail.com. Thanx.